Handcrafting melt-and-pour soaps offers opportunities for creativity, but frustration sometimes occurs when crafters encounter unexpected problems. Here's how to troubleshoot potential challenges. Glycerin is the main ingredient in melt-and-pour soaps. Remove any debris from melt-and-pour soap base by scooping it out with a spoon. 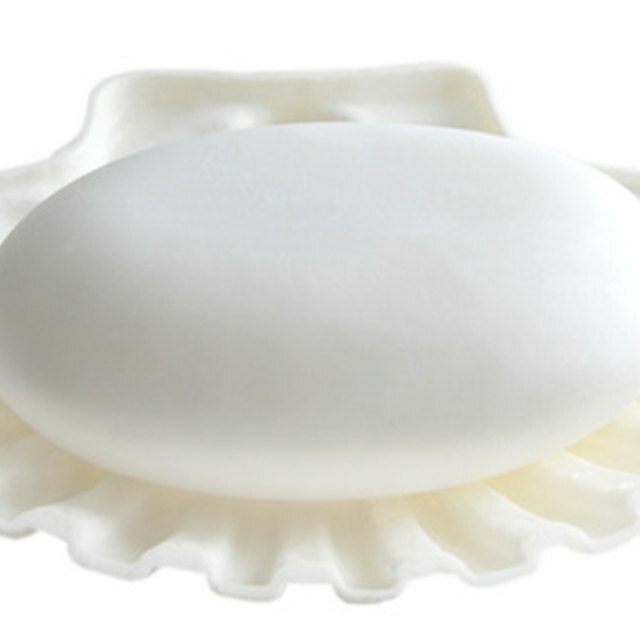 Protect your soap base from dirt by storing it inside a container with a tight lid. Old melt-and-pour soap base can sometimes take a yellow hue, but the soap quality remains. Use colorant (mica) to cover it. Fragrance oils containing vanilla will cause soap to turn brown, but vanilla and color stabilizers are available. High-quality glycerin soap shouldn't crumble, but over time it can dry out if not tightly sealed. Soap base containing too much lye can cause crumbly soap, so purchase supplies from a respected supplier. To get two soap layers to adhere, spray rubbing alcohol on the first--hardened--layer before pouring the next. Rubbing alcohol bonds the layers. If you want more bubbles from glycerin soap, add castor oil or tallow at no more than 35 percent. To remove air bubbles from glycerin soap after pouring into molds, spritz the layer with rubbing alcohol. The bubbles will dissolve.